United Colors Of Benetton United Colors of Benetton Love Yourself EDT Perfume DeoBazaar.com. United Colors of Benetton Love Yourself EDT Perfume For Women @ Best price in India. Buy United Colors of Benetton Love Yourself EDT Perfume80 ML For Women just Rs. 1687/- Online From DeoBazaar.com with Best offers, discount, COD(Cash on Delivery) and Free shipping across in India. Product #: Regular price: Rs.2995INR1225(Sale ends 01 January ) Available from: DeoBazaar.com Condition: New In stock! Order now! 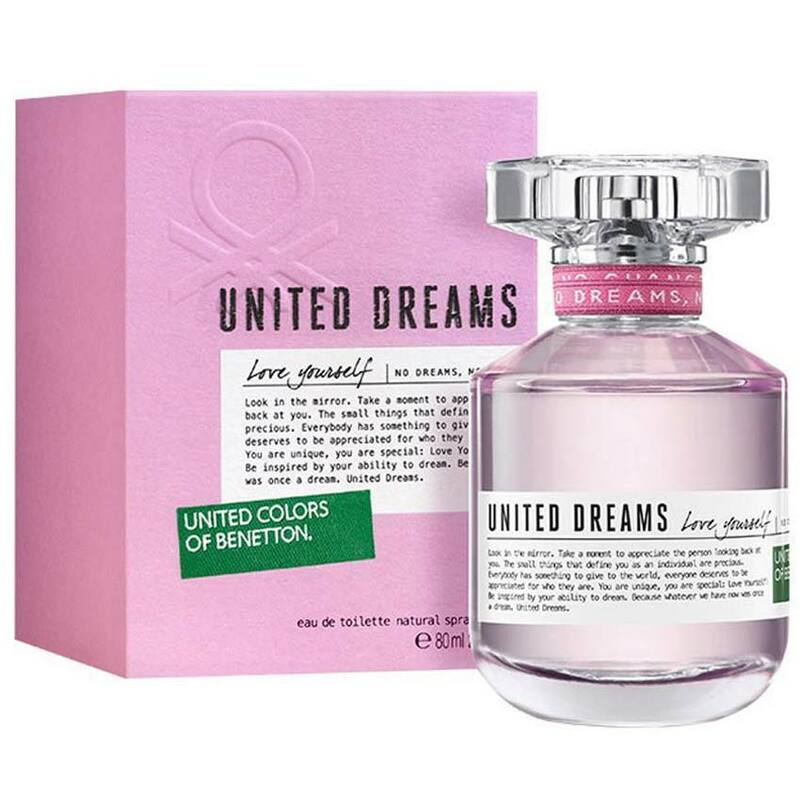 Benetton launched its new collection of fragrances United Dreams in July 2014. The collection consists of three feminine fragrances that carry a positive message to believe in your dreams. Love Yourself is a sensual and feminine fragrance with top notes of pear, raspberry, apricot, and bergamot. The heart is composed of jasmine, freesia and rose, laid on the base of amber, musk, and sandalwood.